I have been seeing recipes for pineapple chicken all over the internet, and I had every intention of trying my hand at it...BUT I kept procrastinating. Sooo many of those recipes seemed bland or had a ton of soy sauce. So I procrastinated some more, but I couldn't get it out of my head. I finally bit the bullet and threw this recipe together, and I am glad I did. Not only does it taste pretty darn good the night of the recipe, but it is even BETTER as leftovers. Did I mention it was easy to throw together, too? Place cornstarch, 5 spice powder, and garlic in a 1 gallon ziplock bag. Shake well. Add chicken to ziplock. Shake until chicken is completely covered. Add chicken to crock pot. 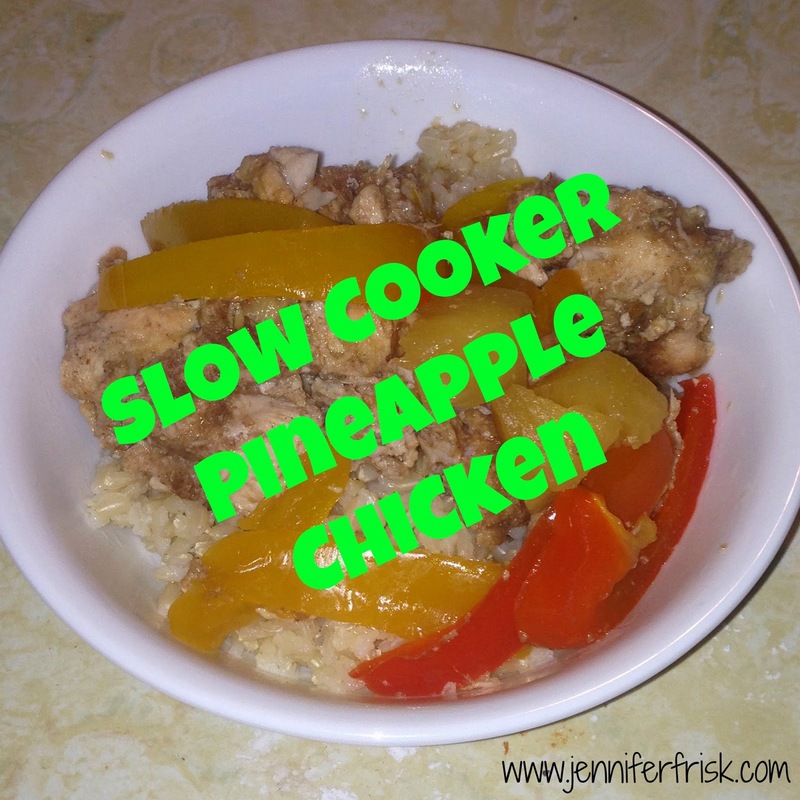 Cover with pepper strips and pineapple chunks. Reserve juice from pineapple. Combine juice from canned pineapple, soy sauce, and honey in a bowl. Pour sauce over chicken, and cook on low for 6 hours.